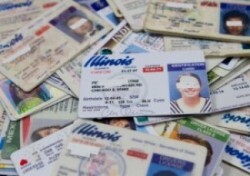 State Representative Lisa Hernandez will join with state agencies including the offices of Secretary of State Jesse White to help non-status residents receive drivers licenses under the new state law that takes effect on Dec. 1, 2013. Hernandez co-sponsored the legislation, SB 957, which was introduced by State Representative Ed Acevedo, to provide “Temporary Visitors Drivers Licenses” (TVDL) to qualified individuals in Illinois who do not have U.S. citizenship. Hernandez will host a workshop on Saturday, Sept. 21 at Piotrowski Park 4247 W. 31st St. Chicago beginning at 10am. The workshop is open to the public. Hernandez said the seminar with Secretary of State Jesse White’s office will also include officials from the offices from the Illinois Department of Insurance, the Illinois State Police, the Cook County Circuit Court, and the offices of Illinois Attorney General Lisa Madigan. For more information, call Rep. Hernandez’s office at 708-222-5240, visit her web site at www.StateRepHernandez.com or visit her office at 3948 W. 26th Street in Chicago.